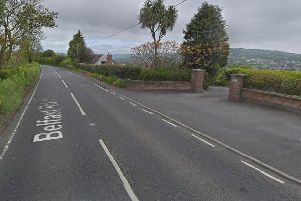 A U.S tourist visiting Northern Ireland was given a caution and a lift to a train station by the PSNI after crashing the car they were travelling in. The incident occurred in the Newry, Mourne and Down policing district at the weekend. "An American tourist on one of our B roads driving something smaller than he is used to at home - no one was injured." said the PSNI. "He got an immediate adult caution and we even gave him and his wife a lift to the train station to continue their vacation! "Always pay attention when driving."